These individual cheesecakes are a healthier twist on the classic dessert with dried pears, gingersnaps and canola oil. Sugar plums will be dancing in your head with each bite! 1. Preheat oven to 325 °F (160 °C). 2. In medium saucepan, bring water, dried pears and crystallized ginger to simmer over medium heat. Reduce heat to low, cover and simmer for about 12 minutes until water is absorbed and pears softened. 3. In food processor, process pears and ginger until course paste forms and cool about 10 minutes. While paste is cooling, make crust. 4. To make crust: combine all crust ingredients. Spray miniature cheesecake pans with canola oil. Divide crumb mixture evenly among mini cheesecake pans and press firmly into bottom. 5. Bake crusts for 8 to 10 minutes until golden brown around edges. Remove from oven and set on wire rack and cool completely. 6. Reduce oven temperature to 250 °F (120 °C). 7. While crusts are cooling, continue making cheesecake filling. In large bowl, beat cream cheese and gingered pear paste together on low until light and fluffy. Beat in eggs. Add sugar and beat until smooth, frequently scraping down sides of bowl with spatula. Transfer filling into liquid measuring cup or pitcher and pour filling into crusts, dividing evenly. 8. Place in oven and bake about 30 minutes until filling is set. Remove from oven and set on wire rack about 1 hour to cool completely. Then cover with plastic wrap and refrigerate for at least 4 hours before removing cheesecakes from pan. 9. 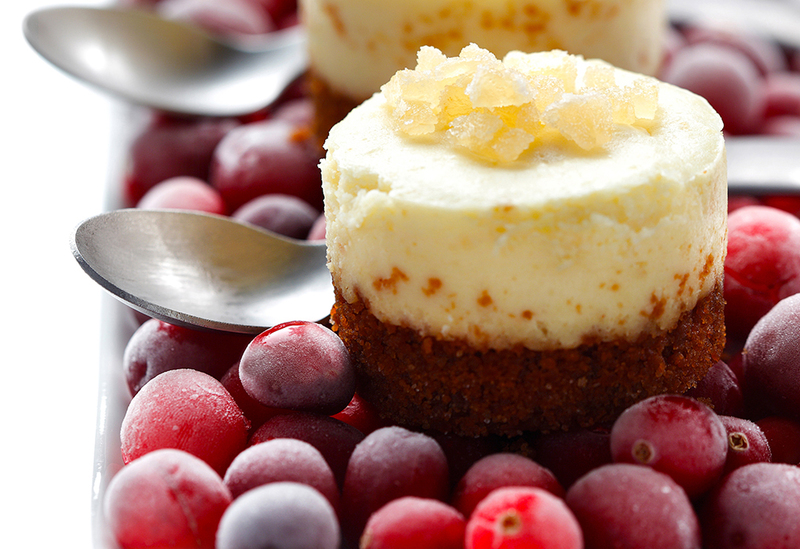 To serve, garnish cheesecakes with crystallized ginger. Tips: The cheesecakes can be also made in non-stick mini muffin tins that are sprayed well with canola oil and/or lined with cupcake holders. Dried pear halves may be substituted with dried apples. 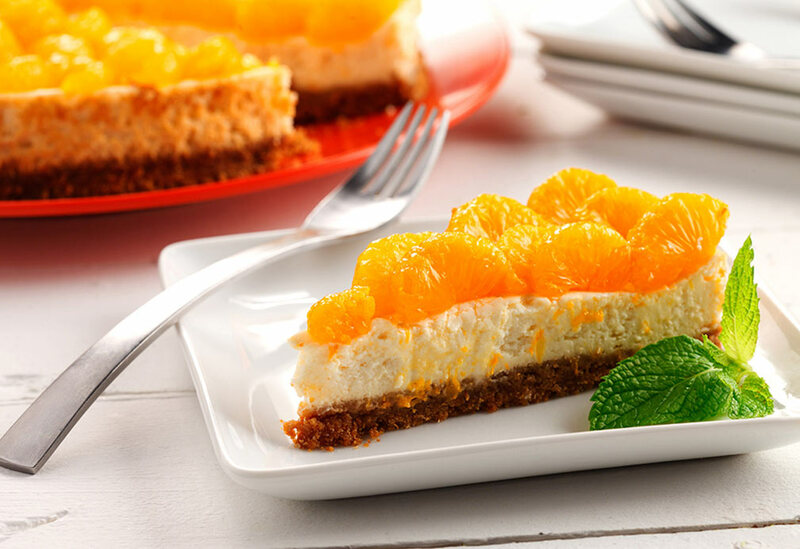 An impressively rich-tasting version of a classic cheesecake, lightened up with a surprise ingredient that also adds protein - cottage cheese. In addition to Mandarin oranges, the light lemon flavor also pairs nicely with cranberries or blueberry sauce or other seasonal fruit. 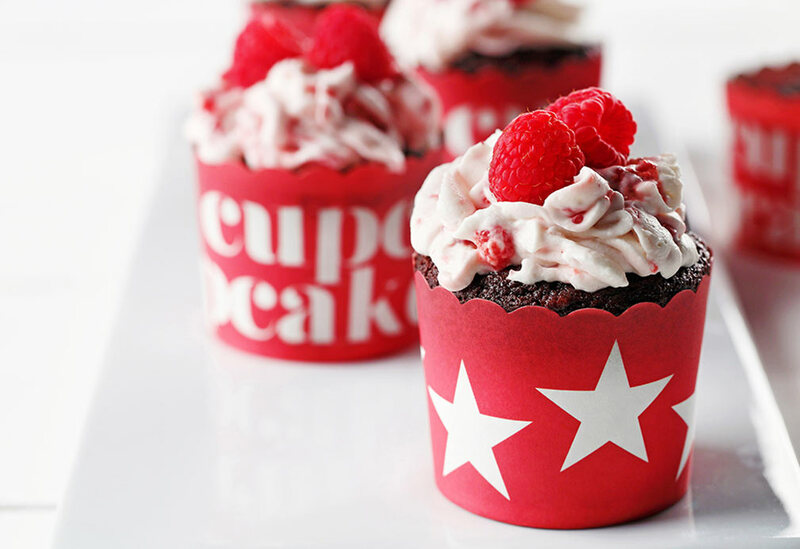 Chocolate and raspberries are a perfect combination for Valentine’s Day. 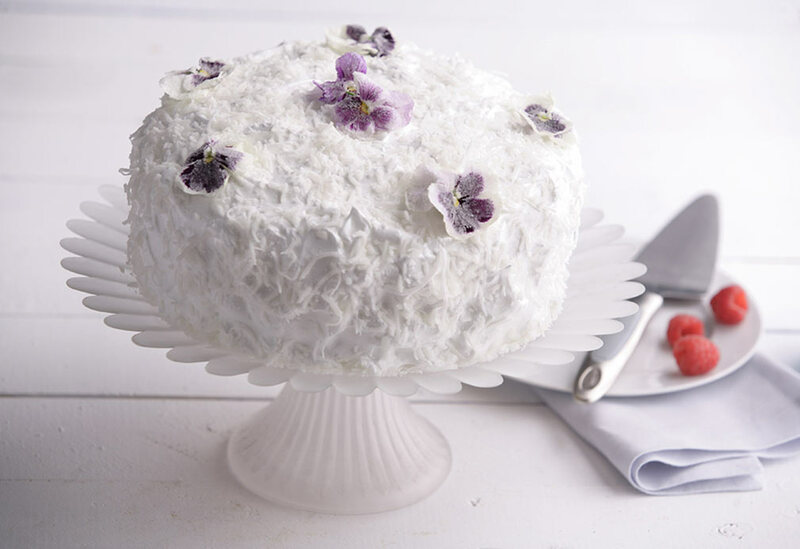 Canola oil reduces the amount of saturated fat in this dessert and, along with buttermilk, helps produce a cake crumb that’s tender and rich – like your love!